Everyone is interested in quick and easy ways to sell their house or investment property. We’ll let you in on a secret. There is no magic involved in selling a home. It’s always a combination of common sense, elbow grease, good marketing, and patience. And even then, sometimes the right buyer still hasn’t scanned your home in their search. Here are four aspects of successful home selling. Common Sense is the first key to listing your home to sell. The cliche that common sense is not that common holds true when it comes to home owners trying to sell. If you like the home you’re living in, it’s natural to assume that others will too. But anything beyond that assumption will leave you floundering with an overpriced, underprepared listing. But common sense dictates placing your property on the market at a realistic price and terms from the beginning. Statistically, a property attracts the most interest from the real estate community and potential buyers when it is first listed; therefore, it has the highest chance of a sale when it is new on the market. Getting your home ready to sell also seems logical, but a quick glance at listing photos makes it clear that it’s not. If you’re hoping to sell your home at top dollar, it needs to LOOK like a good value; this means well taken care of, repairs handled and house tidy. Think about what you would want a home in your price range to look like if you were paying top dollar and act accordingly. Finally, have realistic expectations about the real estate market. We can help you manage those expectations by providing you with detailed analysis on the local market. Our job is to market your home. If we’re doing that well, the market dictates the result. Repeat buyers, especially move-up buyers, tend to want their next home to be in great condition. Usually, when homes are located in a neighborhood that attracts those buyers, homes need to be pristine to stand out from the rest. In addition to cleaning and organizing your house curb appeal can’t be over-emphasized. Sellers who choose to make enhancements to their front yards tend to have good-to-excellent results in comparison to the 68% who don’t. By boosting curb appeal, sellers tend to receive their first offer six days faster and sell seven days sooner than sellers who choose not to focus on first impressions. Here are four easy ways to get started increasing your home’s value with a little elbow grease. 1. 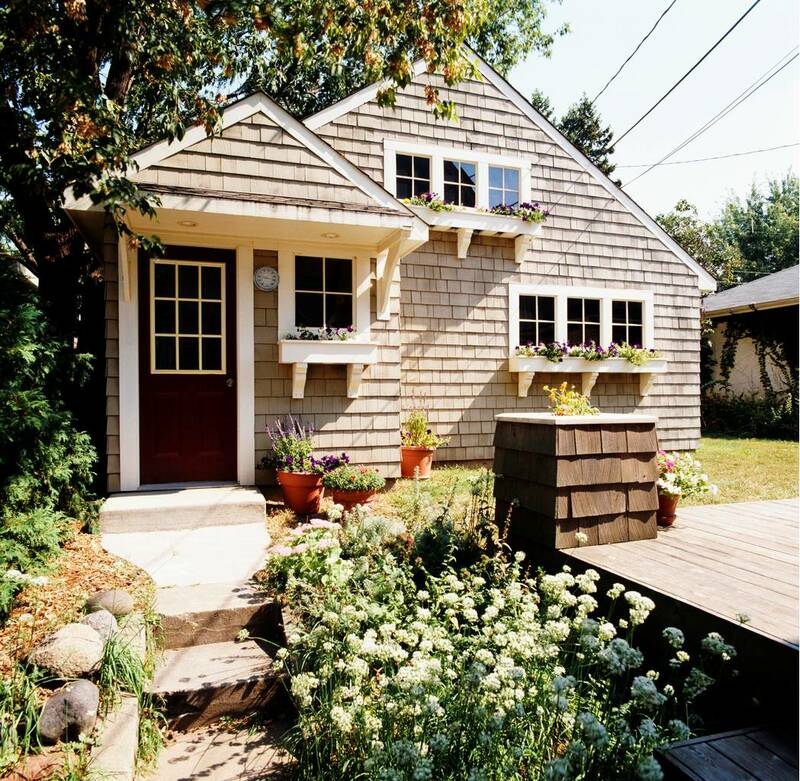 Simply ask yourself if your home’s exterior looks the way YOU want it to. If the answer is no, you have a jumping off point. 2. Get opinions from a few friends whose taste you trust. 3. Spend a little money. It might take $100 or it might take $1,000.It takes money to make money. See the statistics above to understand why increasing curb appeal is a good investment. 17 Hacks to Get Your House Sold. Some are common sense, but you’ll like her idea to walk up to your front door, ring the door bell and walk in–looking at your home as a stranger might. Clever Curb Appeal Ideas from House Logic (Pinterest). There is enough here to keep you reading for a week. The bottom line: getting top dollar for your home requires elbow grease. The clutter, dirty baseboards and corners, overgrown shrubs, and peeling paint that you are used to living with could turn your buyer away. What does good marketing do for your efforts to list and sell your home? In plain terms, if no one knows your home is for sale, it won’t sell. The primary thing we do for you is list your home on the MLS. This is no small thing. We pay to be on the MLS so our clients get IMMEDIATE exposure to hundreds of local agents and all their clients. Just google the numbers to understand the advantages of listing with an agent over and against trying to sell for sale by owner. But putting a sign in your yard is not the end of the story. We take the time to take good photos of your home. We design and provide beautiful listing fliers for drivers by (when appropriate and/or requested). Your house is online everywhere too, making it easy for today’s home buyer to find your home instantly. (This includes ways for you to post your listing to your favorite social media outlet, like Facebook). Marketing alone will not sell your house in Aberdeen. But it will present your house in the best possible light, expose it to the largest possible audience of buyers and increase your chances of a quick sell. either. But buying a home is a huge investment and in any other than a bloated, soon-to-burst real estate market, buyers do not rush into this decision. So we must exercise patience. You can really increase your chances of a quick sell by following the advice outlined above. The purpose of this preparation and hard work is to attract potential buyers into your home until the “right one” sees it. As a Realtor, I’m hired to market your home and help you prepare the paperwork from pending to close. But Realtors are not magicians. We have to be honest about the home (pros and cons) and we can’t push buyers into a purchase. The transaction has to be a win-win. So we all need patience as we work to get your home in front of as many buyers as possible.